California: GEO takes to the air, using GPS cameras to gather point cloud data for 3D settlement monitoring. 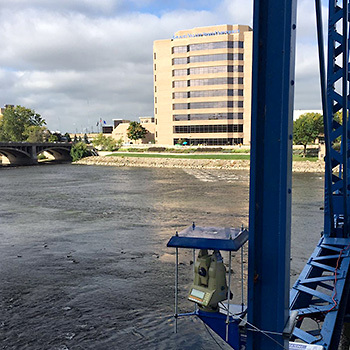 Michigan: This AMTS, mounted on a foot bridge, is monitoring the building in the background during foundation improvements. 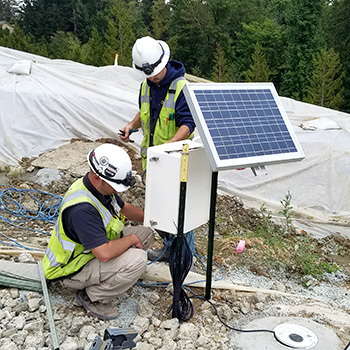 Washington: GEO installed four solar-powered shape arrays to monitor remediation work at a landslide site.